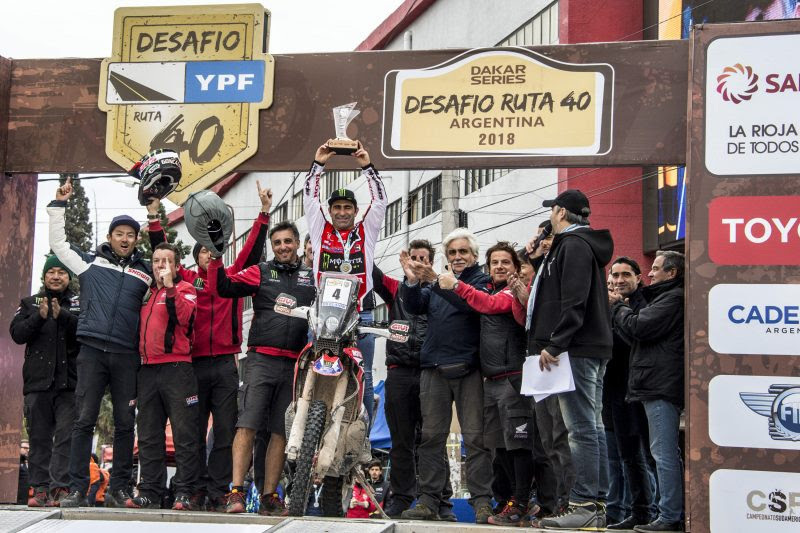 The Desafío Ruta 40, the fourth round of the World Championship, turned out to be a fine example of tenacity from the Monster Energy Honda Team, who battled on, refusing to throw in the towel, no matter how bad things got. The bitter taste left after the injury of two riders was sweetened by the final overall triumph of Paulo Gonçalves in the toughest ever edition of the race. The victory for Paulo Gonçalves in the Desafío Ruta 40 was hardly a surprise for anyone, least of all the team. No Monster Energy Honda Team rider has ever given up since Team HRC returned to the competition at the end of 2012. 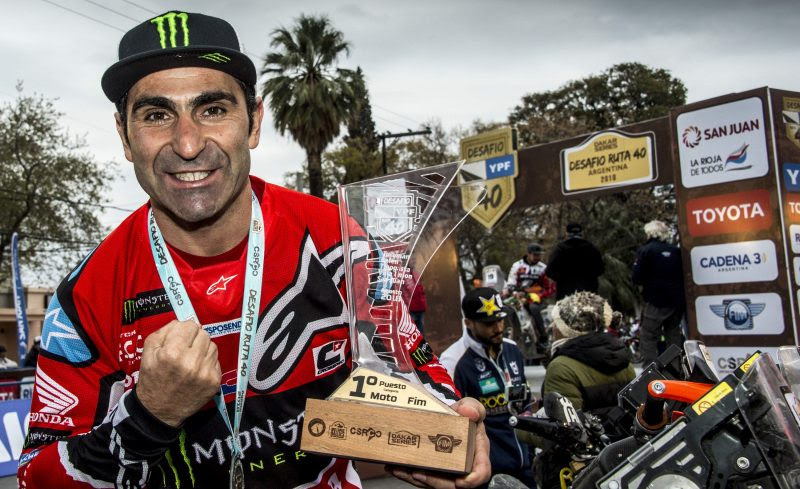 Portuguese rider Paulo Gonçalves pulled it off in the most gruelling, challenging edition of the South American competition, carving out the victory from the very first stage. By stage three he was looking well-poised for the overall win. 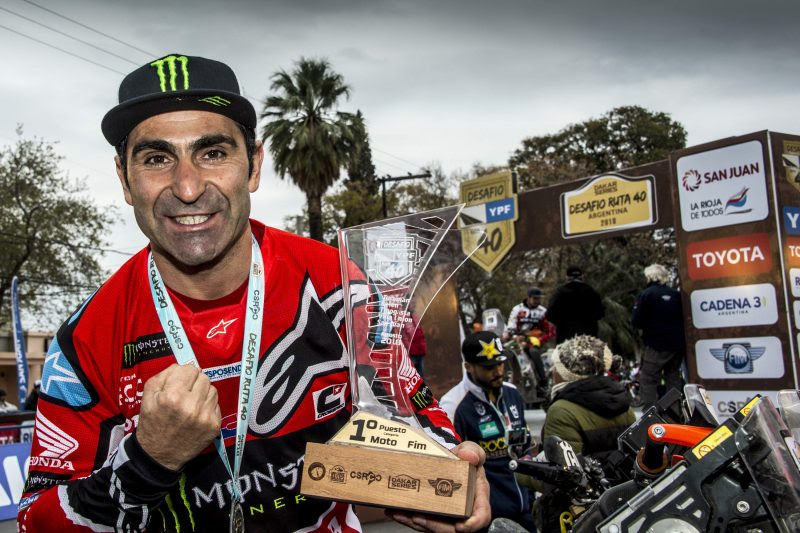 Victory in the hotly-contested final stage proved to be a worthy prize for the perseverance and hard work of the Portuguese ace, who had managed to regain top-competition pace after overcoming recent injuries and adversities. 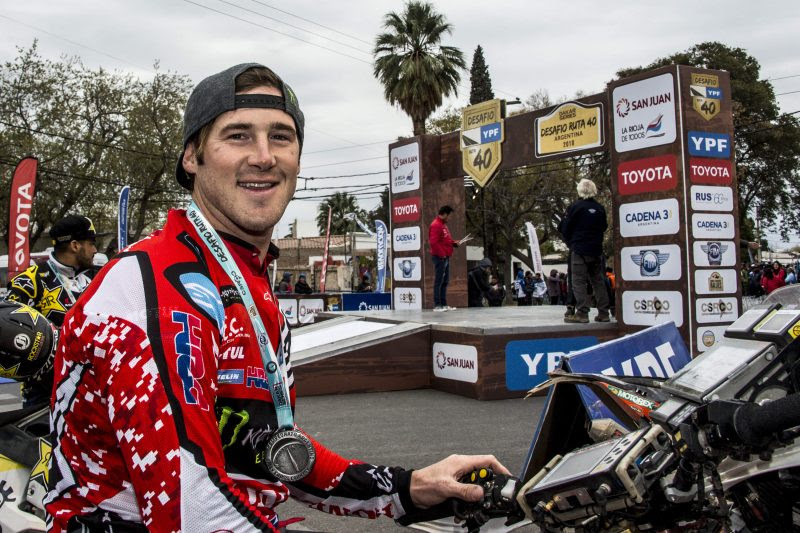 Ricky Brabec sealed a positive fifth final place, an honourary position for the American who was excessively sanctioned for a minor mishap, receiving a costly time penalty. Ricky continued in the race and made it clear that he is battler, scoring two podium places in the latter stages. 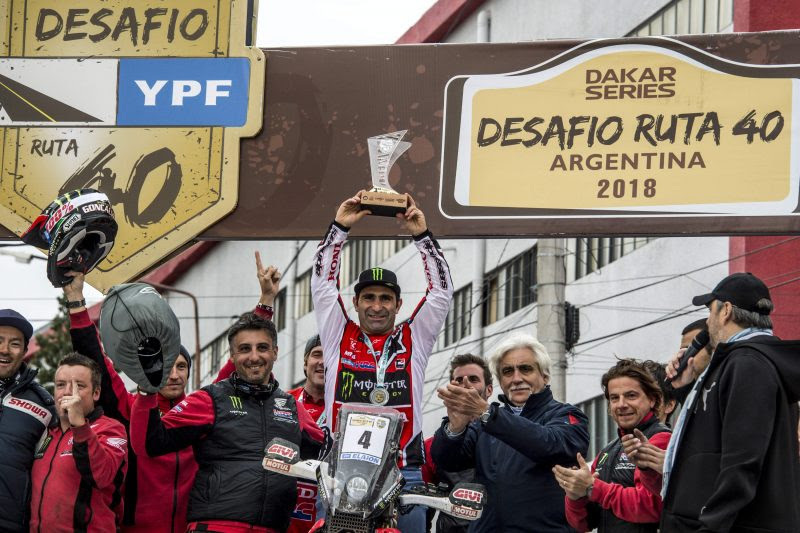 The Desafío Ruta 40 proved to be a complicated affair for Monster Energy Honda Team right from the kick-off on day one, where the team’s most outstanding rider, and the recent Atacama Rally winner, Kevin Benavides was forced to retire. The Argentine, competing on home soil was also the favourite for the overall victory. A heavy fall, resulting in a loss of consciousness, forcing Benavides to withdraw. 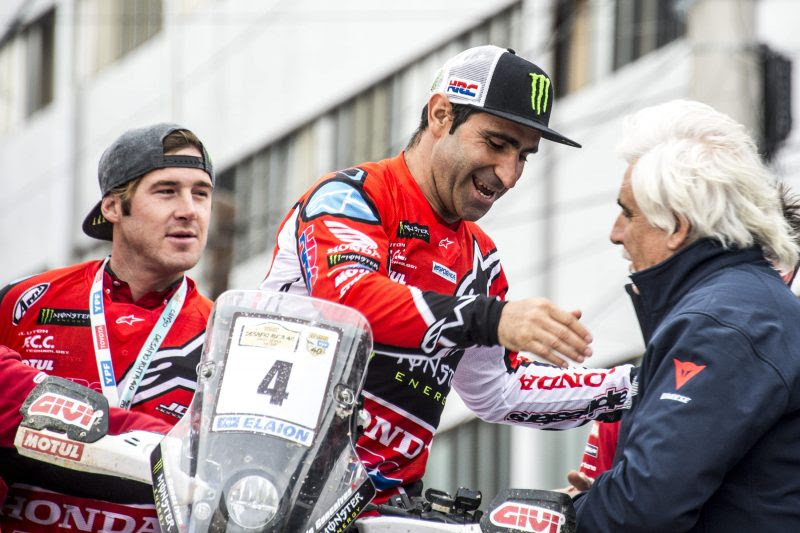 Despite that setback, the team pressed on, but was to endure another hard setback the following day with a serious injury to the team’s wild-card rider, Frenchman Mathias Bellino. Monster Energy Honda Team nevertheless battled on with their two regulars, who both eventually went on to post top place finishes. Bellino suffered a fall at low speed in a river area, where he hit a hidden rock with the front wheel. He was jettisoned the motorcycle and fell, taking a heavy blow to the back. After a few days in observation in a hospital in Buenos Aires, the rider underwent an operation to determine the future of the young French rider. Kevin Benavides recovered favorably after a few days observation and will return to racing activities soon. 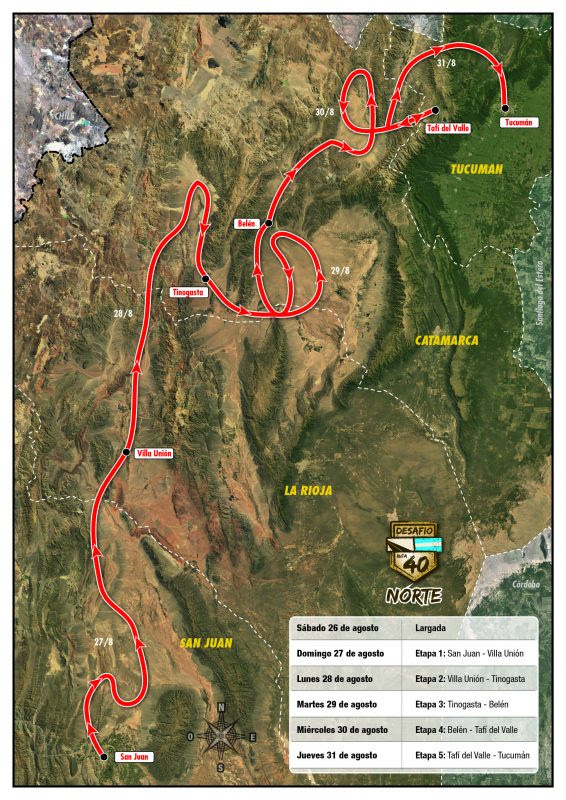 The team will now participate in the Desafío Inca, which will take place in the Ica region of Peru, from September 13th to 16th. A good race for Paulo, who performed well at the Ruta 40. The team is satisfied with the way things have gone. We have worked very hard and have had a fantastic race, even if we won by just a few seconds’ advantage. We are happy about this. Ricky Brabec also had a good race despite some minor problems at the start of the rally. On the other hand, the team is a bit sadden by what happened with Kevin and especially Mathias, who is battling to make it through. We wish to congratulate the achievements of the riders and offer encouragement to those who were unable to finish. 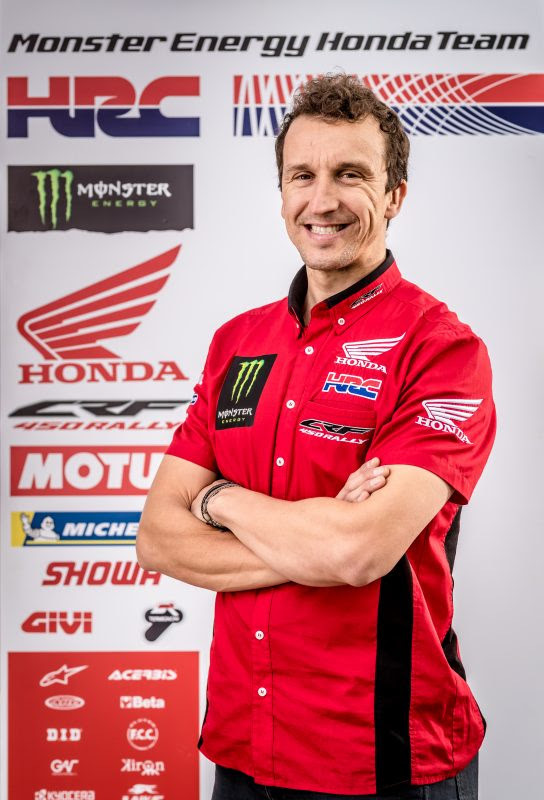 The whole team worked very well and we will look to preparing the next race, which will be in Peru, as the Dakar preparation goes on, and then on to Morocco to finish the world championship. We would also like to thank Honda Argentina, who have helped us a lot in this race and also to all the people at Honda and HRC in Japan. The bike is going really well and it is also thanks to them. And finally, thanks for the unconditional support from our sponsors who have also played a huge part in our success. 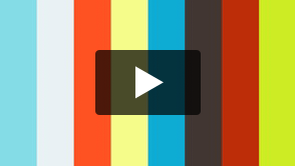 These videos are available on YouTube or Vimeo although may be unlisted. The Desafio Ruta 40, gets installed in the global sporting context as a premium brand. 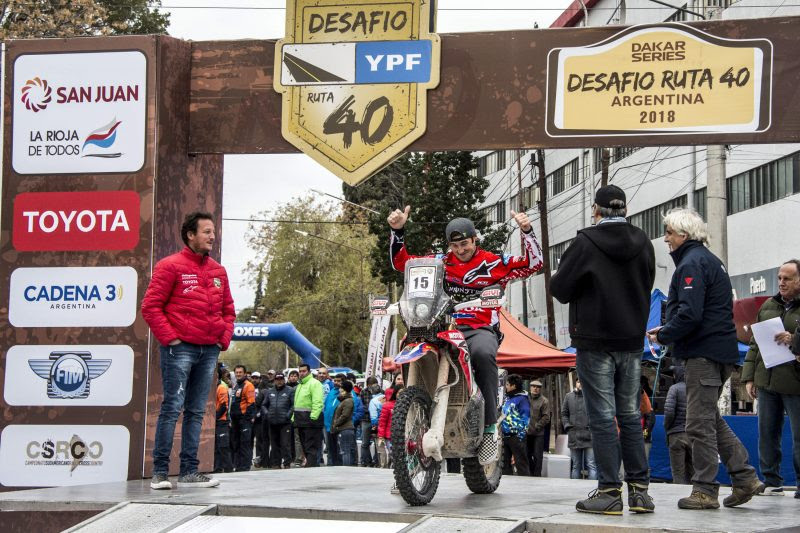 More than a simple velocity race, like every Cross Country Rally, the Desafio Ruta 40 is an adventure that requires competitors other capacities that goes beyond speed to reach the goal faster. Desafio Ruta 40… read more.